120 employees currently work at the Merkurring site on laser and RFID technology as well as radar sensors, used for example for collision prevention in ports, for the classification of traffic, as a navigation aid, or in automotive production. 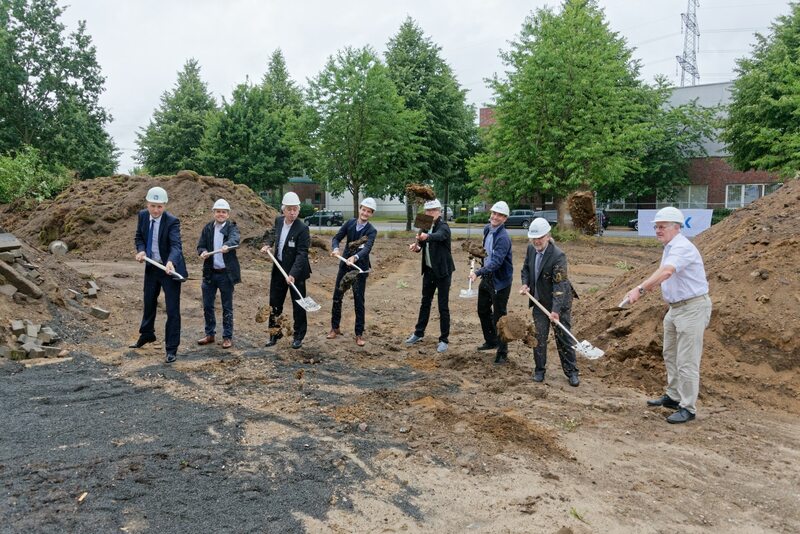 SICK is also developing application solutions for process automation, for gas and liquid analyses for example, at its second Hamburg site at Poppenbütteler Bogen. “Demand for SICK sensor solutions is constantly growing and we are responding with this expanded capacity,” explained Hans Ulrich Fritsch. The extra office space also opens up the prospect of a larger production area. Production capacities are planned to double by 2022. SICK is growing at Merkurring in Hamburg: Stefan Ohlau (architectural firm industrie planung), Christoph Reinke (SICK), Gerhard Weber (industrie planung), Daniel Schäfer (project manager at real estate company BEOS), Dirk Koester (SICK), Volker Willhoeft (SICK), Berthold Buck (SICK), Hans Ulrich Fritsch (site manager SICK Merkurring) (from left to right) at the ground-breaking ceremony for the new office building.